You are windsurfing for quite a while now, since 1989, what are your favourite spots? Topocalma in Chile, Ponta Preta in Cabo Verde and Ho’okipa in Maui. What is your favourite gear at the moment? Everything I do in the water. I love windsurfing and surfing. I love to do big aerials in windsurfing and get barreled in surfing. Kelly Slater is my idol. I would like to still be innovating and pushing my peers when I am older than 40 years! I hope my body allows it! Do you have a special way of life? Yes. I like to be happy, comfortable wherever I am. I like to eat healthy food: Fish, chicken, salad, quinoa, vegetables. I like to cook at home, because I think that is where I get the best food. I run four times a week and try to surf or windsurf at least five times a week when I am near the water. I don’t drink very often and try to enjoy every day whatever the conditions are, but I look forward to the big days! I like the beach– I am not really a city fan! If you could pick two windsurfers (dead or alive) to surf with, who would they be? I am very lucky that I’m in the water with the very best windsurfers in the world every day. I couldn’t wish for a better lifestyle. I love going on trips with Jason Polakow, because he knows people everywhere and we get to sail some of the most insane spots on earth. 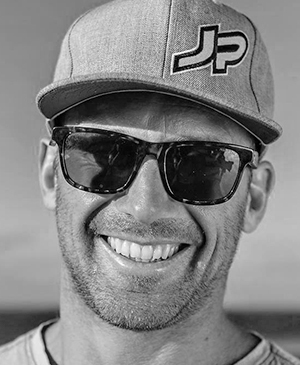 I aso like sailing with Marcilio Browne, as he motivates me to get the best out of my sailing and Ricardo Campello and Philip Koster, because they jump so high! What do you want to archive next? I would like to regain my position on the podium, preferably better than the third place that I achieved in 2009. Best for me would be to be world champion! I would also like to win the Red Bull Storm Chase. Just that I am happy to be in the team! SWOX is a really cool brand and a very necessary product that protects my skin from getting sunburned through the many hours I spend on the water. I’m happy to be here and wish the whole SWOX team all the best for the future!